All the parts made in Carbon Fiber are accurately manufactured by the best sector specialist. 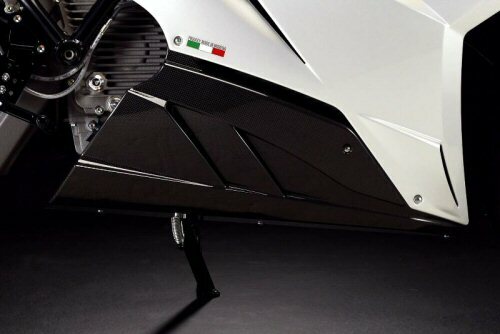 Each component assembled on the Energica Ego is made by double layer carbon fiber, three layers for specifically reinforced parts, autoclaved. Delivered as seen in the photo.